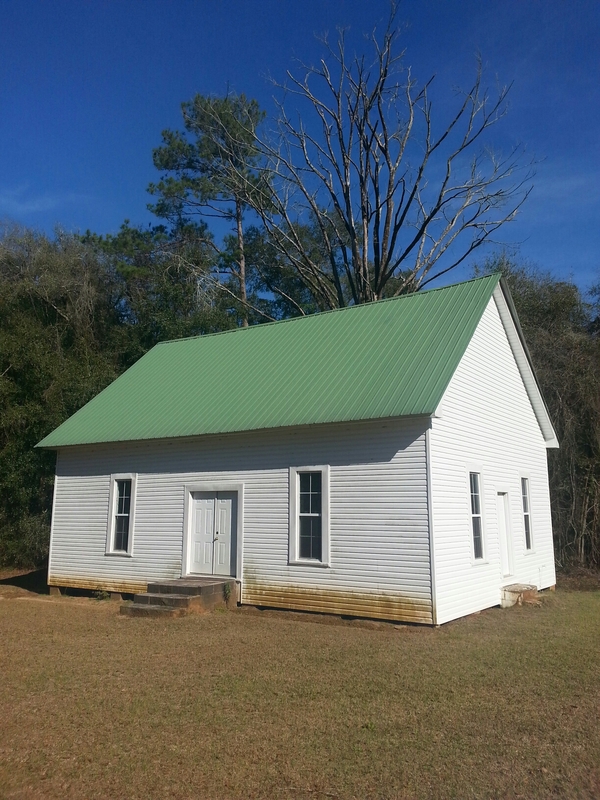 This is the old Mount Pisga Primitive Baptist Church used to meet. It is a beautiful old building and they’ve done a lot of work on it recently to restore it. It’s a good thing to restore some of these old buildings into see the history that went on there. When has to use his magination to to see in their minds eye what might have happened there. But lots of preaching and lots of singing went on there. Good bit of Sacred Harp singing was conducted there also. Well so fasola was conducted there. The old trees around the building have listened to many a sound coming from there! Imagine a lot of old time preaching happened there. Around coffee springs it is one of my favorite places to visit and just sit and be serene for a while as those sleeping over in the cemetery mark the ceaseless passage of time as it marches toward eternity.